Extensive discussions on various key bilateral issues like Defence Technology and Trade Initiative will feature in discussions with US Defense Secretary Ashton Carter next week, Defence Minister Manohar Parrikar said on Saturday. Speaking to reporters on the sidelines of a state government function here, he also said that India wants to establish the best defence co-operation with the US. “On 12th (of April) there will be official level discussion at Delhi. 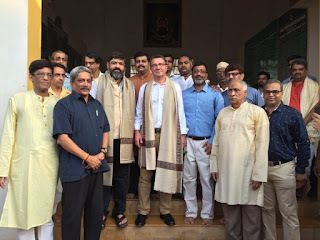 Prior to his (Carter’s) visit, US under secretary (administration) has also been to India last week and we had extensive discussions on various bilateral issues like Defence Technology and Trade Initiative and many others,” Parrikar said.